"We are thrilled to welcome so many visionary leaders and strong voices to our new Select Committee on the Climate Crisis, which will be vital in advancing ambitious progress for our planet," Pelosi said in a statement announcing the appointments. "Each Member brings great energy and deep expertise to the climate crisis, which jeopardizes our public health, our economy, our national security and the whole of God’s creation." 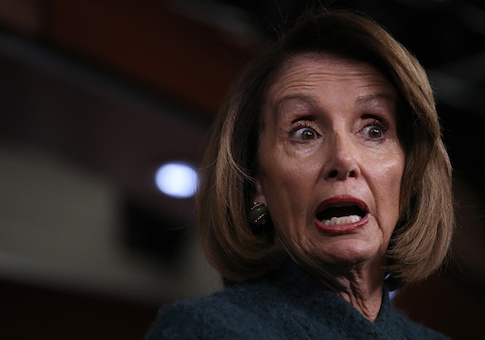 Despite the speaker's confidence in the energy and expertise of her appointees, it is unclear if their history of taking campaign contributions from large energy conglomerates will prove problematic. Castor, who has pledged to reject campaign contributions from fossil fuel interests, has taken more than $72,000 from individuals and political action committees associated with the energy and natural resources industry since joining Congress in 2007. The majority of the funds—approximately $59,000, according to the Center for Responsive Politics—came from PACs linked to the industry. As reported by the Washington Free Beacon, Castor previously owned stock in companies with troubling environmental records. Similarly, Bonamici ($87,963), Brownley ($55,789), Casten ($46,259), Huffman ($118,310), Levin ($42,143), and McEachin ($62,364) all received significant backing from the industry throughout their congressional careers. By far the largest recipient of industry contributions was Lujan, a member of Pelosi's leadership team who previously served as the chairman of the Democratic Congressional Campaign Committee. Since entering the House in 2009, Lujan has taken more than $522,000 from individuals and PACs linked to energy interests. Of that total, more than $438,000 came from PACs belonging to companies like BP, which donated $7,500 to Lujan in 2018 alone. Neguse, a freshman from Colorado, was the smallest recipient with only $3,316 flowing from energy interests to his campaign. The more liberal members of the House majority have already raised concerns about the committee's impotence. Unlike permanent congressional committees, it will not have the ability to issue subpoenas or introduce legislation. Instead, the panel will only have the ability to advise and issue recommendations. The speaker's office did not return requests for comment on this story. This entry was posted in Politics and tagged Climate Change, Congress, Energy, House Democrats, Nancy Pelosi. Bookmark the permalink.